In conjunction with our Group Company, DB Roberts Mortgage Services, we were proud to be involved in sponsoring and supporting the prestigious Shropshire Star Excellence in Business Awards 2015 hosted by BBC Radio Shropshire’s Eric Smith on Thursday night. The guest speaker was former England rugby international Neil Back who proudly displayed his winners medal from the 2003 Rugby World Cup. Building on the success of last year’s event, in which D B Roberts & Partners sponsored one of the awards categories and provided two of our Directors to participate in the judging, the 2015 event attracted a large number of high quality entrants. 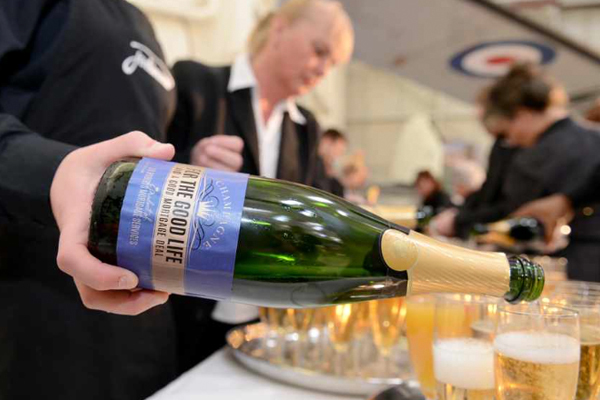 D B Roberts Mortgage Services sponsored the champagne reception at the glittering awards evening which took place in the evocative surroundings of Cosford Aerospace Museum and we were able to present our own D B Roberts branded champagne thanks to Kim, our super Marketing Manager who created the labels. 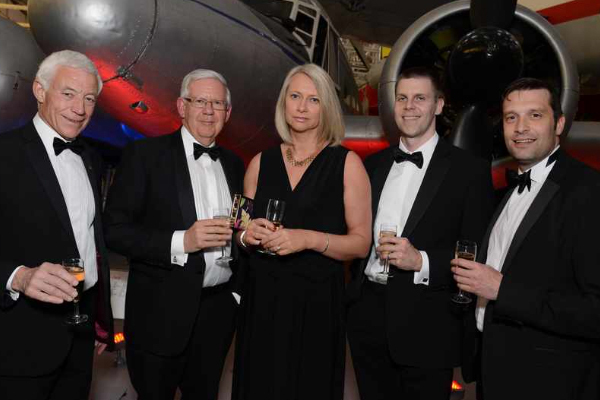 Three DB Roberts Directors hosted a table at the event, with guests including professional colleagues and senior staff from both the estate agency and financial services divisions of the Company. Our congratulations to the winners in all the awards categories and especially to technology firm Quartex who were named Business of the Year. 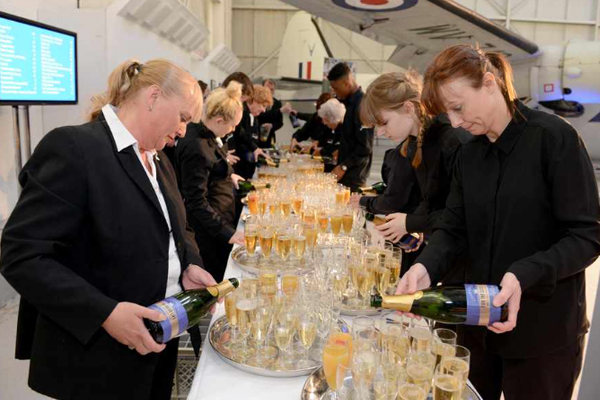 Commiseration also to those finalists who were disappointed on the night – we know how much work and effort goes in to entering for these awards. Better luck next time! 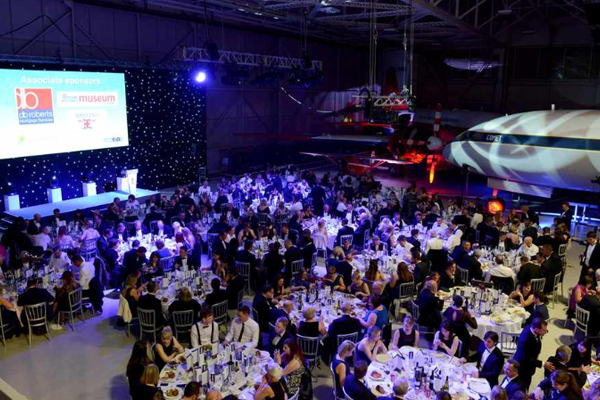 With the World's first jet airliner in service, the iconic British designed and built De Havilland Comet, providing the backdrop, the Awards Ceremony took place in Hangar 1 of Cosford Aerospace Museum. Enjoying the champagne are (l to r) Keith Winter (Dyke Yaxley Accountants), Bill Brookes (Chairman, DB Roberts Group), Jo Culley (Managing Director, DB Roberts Mortgage Services), John Merry (Partner, Lanyon Bowdler Solicitors) and Matthew Hill (Shropshire Area Sales Director, D B Roberts & Partners).